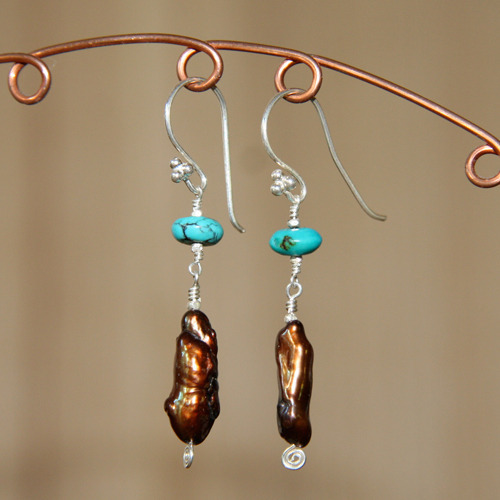 Turquoise rondelle and chocolate stick pearl dangle from fine silver French earwires. Tiny spirals accent the bottom. Approximately 2 inches long - including earwire.